George Smoot is Research Physicist at the University of California, Berkeley's Space Sciences Laboratory (1971-present). Other institutional affiliations include Lawrence Berkeley National Laboratory and Ewha Womans University's Institute for the Early University. Smoot conducts research in astrophysics and observational cosmology, including on the cosmic background radiation. In 2006, Smoot and John C. Mather won the Nobel Prize in Physics "for their discovery of the blackbody form and anisotropy of the cosmic microwave background radiation." February 20, 1945Birth, Jacksonville (Fla.). 1966Obtained BS in Physics and Mathematics, Massachusetts Institute of Technology (MIT), Cambridge (Mass.). 1970Obtained PhD in Physics, Massachusetts Institute of Technology (MIT), Cambridge (Mass.). 197 – presentResearch Physicist, Space Sciences Laboratory (1971-present); Member, Center for Particle Astrophysics (1988-2000); Member, Advisory Committee, Radio Astronomy Laboratory (1990-1998); Professor of Physics (1994-present); Member, Advisory Committee, Space Sciences Laboratory (1996-present); and Director, Berkeley Center for Cosmological Physics (2007-present), University of California, Berkeley, Berkeley (Calif.). 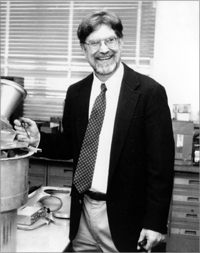 1974 – presentResearch Physicist, Lawrence Berkeley National Laboratory, Berkeley (Calif.). 1975 – 1997Member, Steering Group, Cosmic Background Explorer Satellite, National Aeronautics and Space Administration (NASA). 1982 – 1990Member, Advisory Committee, White Mountain Research Station, University of California. 2006Awarded Nobel Prize in Physics with John C. Mather "for their discovery of the blackbody form and anisotropy of the cosmic microwave background radiation". 2008Member, National Academy of Sciences. 2008 – presentDirector, Institute for the Early Universe, Ewha Womans University, South Korea. PhD advisor at Massachusetts Institute of Technology (MIT), "Charge exchange of K on platinum at three GeV/c." Co-won 2006 Nobel Prize in Physics "for their discovery of the blackbody form and anisotropy of the cosmic microwave background radiation." Research Physicist and Member, Advisory Committee. Director, Institute for the Early Universe. Obtained BS (1966) and PhD (1970). Member, Steering Group, Cosmic Background Explorer Satellite. LBL Physics Division Cosmic Background Explorer (COBE) records of George Smoot, 1975-1995. LBL Physics Division oversize scientific files of George Smoot, 1989. LBL Physics Division scientific papers of George Smoot, 1975-2007. LBL Physics Division technical documents of George Smoot, 1980-1995. Wrinkles in time / George Smoot and Keay Davidson.